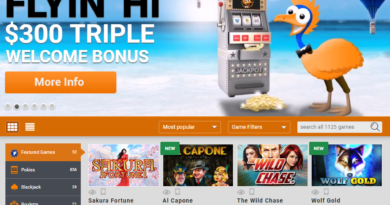 If you want to find the best pokies to play online, you want to look at the games that come from software developer, Microgaming. Most people have heard of Game of Thrones because of eh popularity of the cable television show. It is a show that people want to watch and the game is able to capture much of what the show offers. It includes the suspense and excitement that people would expect form a game with this title. The game offers great symbols that represent the show while also adding some great features and gameplay to make people want to keep coming back to play some more. Game of Thrones is a 5 reel pokie that has two different versions. 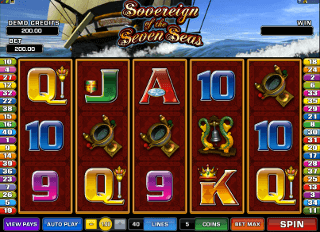 One version uses the system from Microgaming that offers 243 different winning combinations with every spin of the reels instead of the traditional pay lines. The other version of the pokie has 15 pay lines. Both versions include the symbols that represent the show. The main symbols that are seen on the pokie are based on the families seen in the show, Baratheon, Lannister, Stark and Targaryen. Other symbols are also offered that include the traditional playing cards that go from J through A. The game offers many great features. 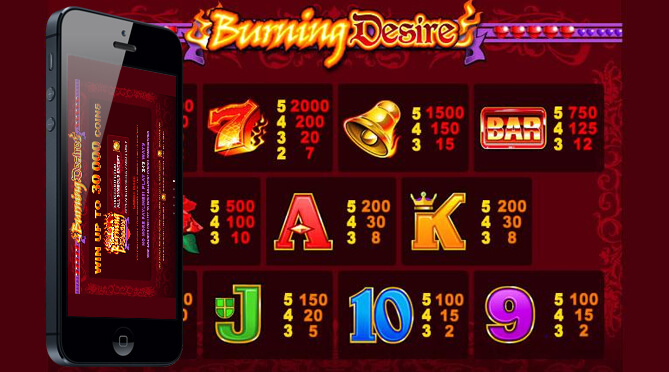 The basic features include the wild symbols, scatter symbols, free spins and bonus games. All of these add to the way the game is played and give the players plenty of opportunities to win big. The best features of the game rely on the Iron Throne symbol. 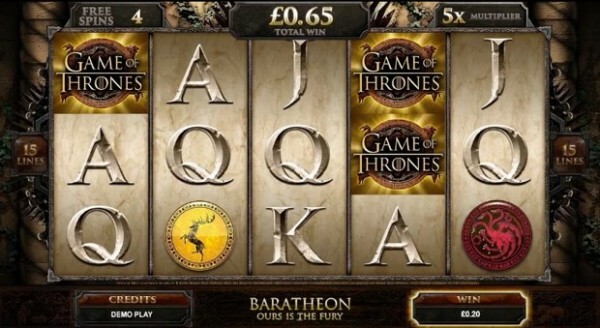 House Baratheon: Players get 8 Free Spins, with a Multiplier of up to 5x. The Baratheon High Symbol is stacked three high during this game. House Lannister: Players get 10 Free Spins with a multiplier of 4X. The Lannister High Symbol at 4 high. House Stark: Players get 14 Free Spins. There is a multiplier of 3x. The Stark High Symbol is stacked 5 high. House Targaryen: Players get 18 free spins. There is a multiplier of 2X. The Targaryen High Symbol is stacked in this game. Getting five of the iron throne symbols will give the player a 200X multiplier. The 15 pay line machine accepts a minimum bid of $.15 while the 243 winning combination machine accepts a minimum bid of $.30. The maximum number of coins that can be bet is 300. This game has managed to capture the excitement of the popular television show. The free spins feature is great. One of the only downsides of this game is that a gamble feature is offered except when playing the mobile version of the game. 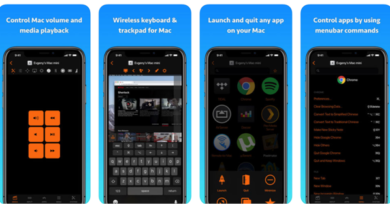 This would be nice to have on all versions. Besides that there is nothing but good things to say about Game of Thrones.